I'm assuming I don't really need to give an introduction on the range as everyone in the Blogging community has gone wild over these brushes and I can totally see why. In a nutshell Real Techniques is the brain child of Sam Chapman (Pixiwoo) and are a range of essential make up brushes which are completely synthetic and are well bloody fabulous!! When the range was launched the only brush I really wanted was the stippling brush, and now I'm thinking I may need the Blush Brush too. Now I have noticed that some people have commented that their stippling brushes have been shedding, however I don't know if there has been a faulty batch, as mine has not shed a single hair, and I wash mine at least 3 times a week. Personally I use this brush to apply liquid foundation as I find the smaller surface area easier to work with than a larger brush. Honestly the way my foundation looks since using this brush has completely changed- no wonder if was mentioned in my monthly favourites earlier this week. I know other bloggers have been using this to apply their cream blushes however for some reason I prefer a larger brush to apply, as I feel like I apply too much with this brush, Yes I know what you are all thinking... I am a funny bugger. 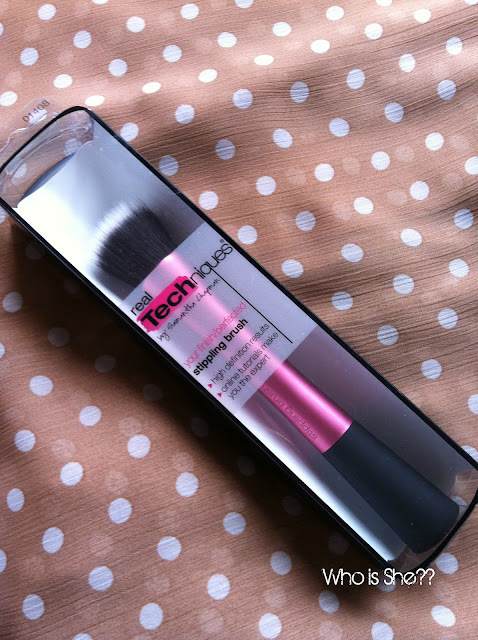 I paid £11.99 for this from Boots, however currently all Real Technique Brushes (including the core kits) are on 3 for 2 if you want to stock up. If you are from the Durham area I bought mine from the Durham City Retail Park branch (near Tesco at Dragonville/Gilesgate). Other stockists include- Metro Centre, Eldon Square Newcastle, and Middlesbrough. I picked up some of these brushes in the 3 for 2 other week and it's love!